Since they bear a strong resemblance in taste and appearance, it can be extremely difficult to tell the difference between banana peppers and pepperoncini. However, they are far from being interchangeable. This article draws the line between these two famous kitchen ingredients. A banana pepper, also called banana chili or yellow wax pepper, is a medium-sized chili pepper that is initially bright yellow in color. It has a mild, slightly acidic taste, and it is commonly used as a raw ingredient in food recipes. A plant variety of the species Capsicum annuum, the banana pepper changes in taste, color, and heat level as it matures. Pepperoncini, on the other hand, is a plural term derived from peperoncino, which is an Italian word for hot chili pepper. 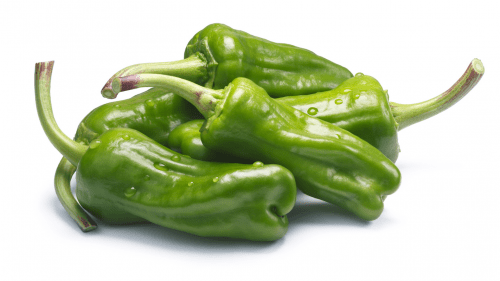 A plant variety of species Capsicum frutescens and Capsicum annuum, the peperoncino is a green, medium-sized pepper that tastes stronger as it matures. They may play equally important roles in the kitchen, but there is still a big difference between banana peppers and pepperoncini. Banana peppers are a plant variety of the species Capsicum annuum, while pepperoncini are cultivars of two different plant species: the Capsicum frutescens and Capsicum annuum. The Scoville scale is a device used to measure the heat levels of chili peppers and other food items that contain capsaicin. As a rule of thumb, the lower the Scoville rating is, the lower the heat level a chili pepper contains. Since banana peppers and pepperoncini have almost identical Scoville ratings, they are used interchangeably in different food recipes. Banana peppers score between 0 and 500, while the heat level of pepperoncini ranges from 100 to 500. Upon maturity, banana peppers and pepperoncini reach about 2-3 inches. Since they are both long and slightly curved, it can be challenging to tell them apart. However, there are subtle differences between the two, particularly in terms of texture, thickness and shape. Pepperoncini are characterized by their wrinkly skin and blunt, bulbous end. Banana peppers, by contrast, have a smooth, thick skin. They are distinct for their sharp and pointy end, and they resemble a banana. Banana peppers and pepperoncini have a mild, sweet taste. However, unlike banana peppers, pepperoncini lack the tangy flavor and they are slightly bitter. Also, their flavor grows stronger as they mature. Banana peppers, on the other hand, taste sweeter as they age. During pickling, banana peppers are sliced while pepperoncini are pickled whole. Although there is no limit on how the two can be used in the kitchen, banana peppers are more commonly used as a raw cooking ingredient, while pepperoncini are frequently pickled. Additionally, banana peppers can be eaten raw, pickled, fried, baked, stuffed or roasted, making them the perfect addition to soups, spaghetti, and omelets. Meanwhile, pepperoncini are either consumed raw or pickled and are most ideal for garnishing salads, sandwiches, and pizza.